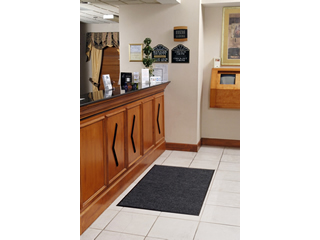 Description: Dual Rib Scraper Mats are natural classics for unsurpassed style and durability. 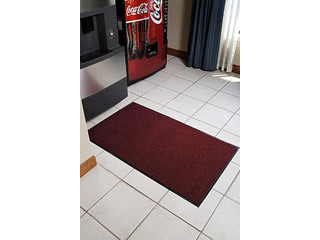 This mat is constructed of an extra-durable 100% polypropelene surface with a heavy-duty vinyl backing. 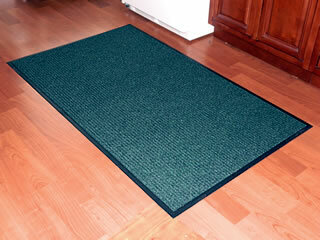 The unique ridged design enhances the mat's appearance, traps dirt and promotes a safe non-slip floor. With its rugged characteristics, Dual Rib Scraper Mats will prove to be an invaluable tool for maintaining clean, safe floors. 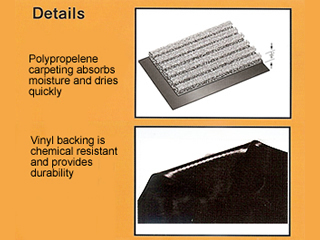 100% polypropelene carpet absorbs moisture and dries quickly. 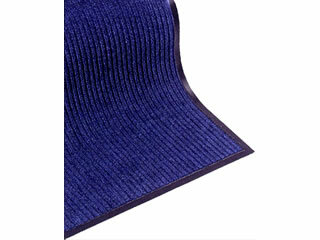 Heavy duty vinyl backing is slip and stain resistant. Cleans dirt and moisture from shoes. Can be used on both carpeted or hard surface floors. Simply use a carpet cleaner or use a vacuum to clean.